Home theater options are limited only by your imagination. 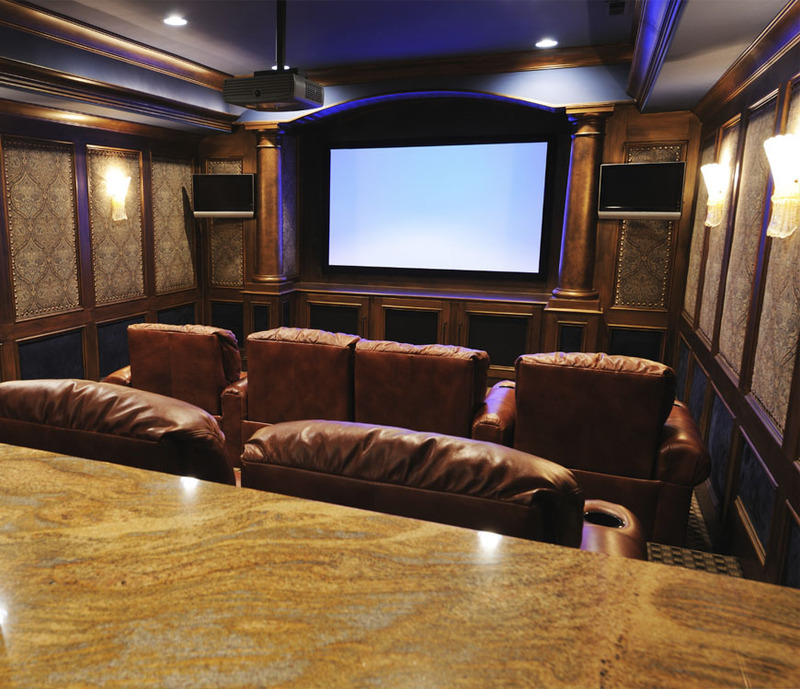 From intimate and cozy to high tech and built to entertain, there is a home theater for every application and budget. Seating, retractable screens, mood and creative lighting, surround sound, anything and everything that you can imagine. Wow your guests with a state of the art entertainment space. Contact Haning Home Theater to discuss the home theater that is right for you.